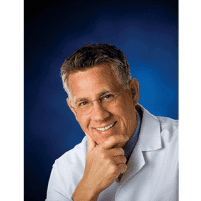 Warts Specialist - Fishers, IN & Anderson, IN: Lawrence E. Lloyd, DPM, FACFAS: Board Certified Podiatrist: Lloyd Podiatry Group, Inc.
Plantar warts tend to develop on weight-bearing areas of your feet, which is why they're known for causing pain with every step you take. As a board-certified podiatrist with extensive training in diagnosing and treating plantar warts, Lawrence E. Lloyd, DPM, FACFAS, of Lloyd Podiatry Group, Inc., can help you recover from stubborn wart outbreaks. Book your foot wart exam at the practice’s Anderson or Fishers, Indiana, clinic locations by clicking on the online scheduler or by calling either office directly. How did I get plantar warts? Plantar warts develop when human papillomavirus (HPV) enters your skin through a weakened spot, like a cut. Because HPV thrives in warm, dark, damp environments, if you walk barefoot through a gym locker room or even on a pool deck, you can come into contact with the virus. While anyone can develop warts at any age, your risk is higher if you’re younger. Children and teenagers more commonly struggle with warts than adults. What are the symptoms of plantar warts? Plantar warts can be stubborn to treat — particularly in children — and can even spread to other areas of your body. If you start noticing warts developing, especially if you have a history of foot warts, schedule an exam at Lloyd Podiatry Group to get started on treatment right away. Do I need to see a doctor for plantar warts? For more stubborn warts, Dr. Lloyd could recommend a minor surgical procedure known as electrodesiccation and curettage. This in-office treatment involves numbing the area around your warts and using an electric needle to destroy and cut them away. Schedule a plantar warts evaluation for you or your child at Lloyd Podiatry Group today. You can conveniently book your appointment online or over the phone.